This is particularly handy when you can't set something flat on a scanner. 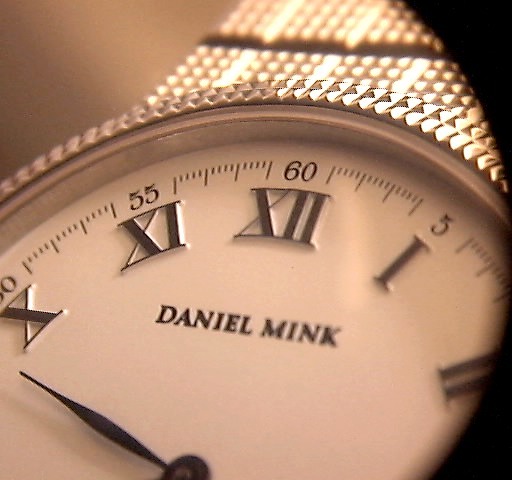 With an inexpensive 10x jeweler's eye loupe placed over the lens, you can take some pretty good super-close pictures. Since the Coolpix is not very sensitive in low light conditions, you need lots of light from the sides. A couple of desk lamps can do the job pretty well. To keep glare down, you may want to diffuse the lighting, maybe by reflecting off a sheet of paper, instead of illuminating the object directly. The first shots I ever took through a loupe always had a shadow at the edges. 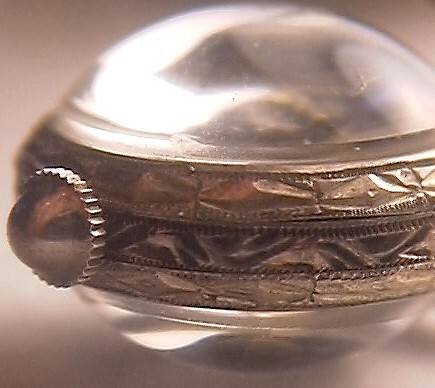 I was getting the sides of the loupe itself in the pictures. 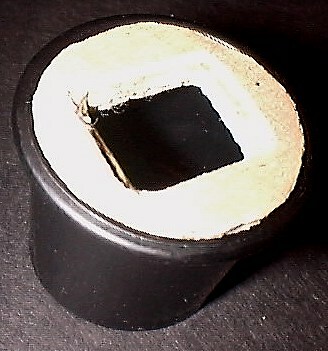 To keep the lens centered over the Coolpix's own lens, I made a template of hand-cut and glued layers of paperboard. Someday, I would like to make a molded version, possibly using epoxy, but I'd really prefer a spring clip to hold the loupe in place hands-free. With this much magnification, you have to shoot from a much closer distance. 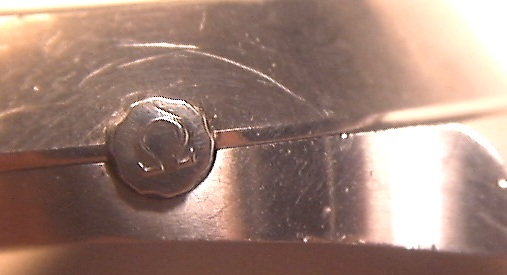 Using the 10x loupe, I have to take pictures from around 2 cm. You can find lower magnification loupes too and they may be more forgiving. I used a piece of graph paper as the subject of my shots to measure the usable area of the closeups. Remember that from this close in, you cannot use the viewfinder (in fact, the loupe covers a portion of the front window anyway). You will find there is a very short depth of field, so angled shots may have only minimal areas in focus.